International commercial arbitration as a mechanism for resolving commercial disputes continues to gain popularity worldwide. The popularity of this form of dispute resolution however varies and the reason for this is the difference in application from one country to another. The 1958 New York Convention on the Recognition and Enforcement of Arbitral Awards has helped standardize the enforcement criteria in a large number of states. The UAE acceded the New York Convention in 2006 without reservation. It took four years before the first judgment applying the New York Convention was rendered. 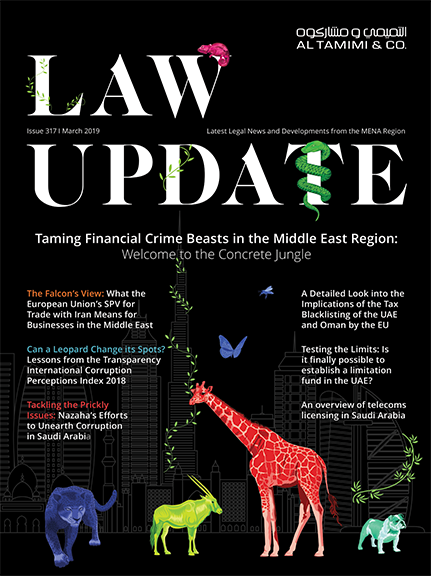 In 2010 Fujairah Federal Court of First Instance ruled  to enforce a London award issued under the London Maritime Arbitrators Association (LMAA) rules. The judgment expressly recognised that conventions and treaties entered into by the UAE have the force of local legislation. However, the case was not contested by the party against whom enforcement was sought and, although encouraging, was therefore treated with some caution. Despite the encouraging approach above, the UAE Courts had a setback in 2013 when the Dubai Cassation Court upheld the appeal court’s decision in rejecting an enforcement application in Civil Case No. 165 of 2013. The award creditor had applied for enforcement of a French award against a foreign government with assets in the UAE. The Dubai Cassation Court, after reciting the full text of Articles 3 and 4 of the New York Convention as well as Article 15 of the UAE’s Judicial Cooperation Agreement with France, stated that: “The procedure for obtaining enforcement of a judicial decision shall be governed by the law of the State of which the request is made”. On that basis the court applied the UAE Civil Code and found that the court had no jurisdiction to enforce the award because the defendant was not resident in the UAE, even though that is not a requirement for the enforcement of awards under the New York Convention. Not long after, the Dubai Court of Appeal issued a decision (Commercial Appeal No. 1 of 2013, issued on 9 July 2013) which proved that the above Cassation Court’s decision was an exception, and that the UAE is committed to its international obligations. The Appeal Court held. Although errant judgments do arise periodically, the above shows that the UAE courts’ general approach towards arbitration has recently been positive, it is hoped that it will remain so. Abdul Hameed Ahdab, Resource of International Arbitration, First Addition, Nofal Library, Beirut, Lebanon, 1990, p. 206. (Arabic). Maxtel International FZE v Airmec Dubai LLC, Court of First Instance Commercial Action No.268, January 12, 2011.